An upper trough moving aross the N-CNTRL Mediterranean towards east. 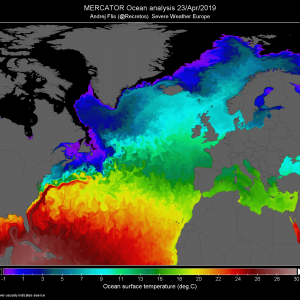 Surface cyclone slowly moving across central Mediterranean towards the Ionian sea. 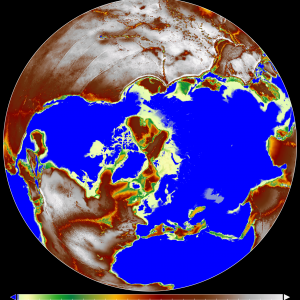 Zonal flow establishes across western Europe. A MDT risk has been issued for eastern S-CNTRL Adriatic sea coast into Albania, Ionian sea and NW Greece with threat for tornadoes / waterspouts, excessive torrential rain, severe winds and large hail. Locally, very high accumulations and flash floods are likely due to strong SW winds resulting in orographically enhanced rainfall and torrential convective precipitation. A SLGT+ risk has been issued for parts of south Italy and Tyrrhenian sea with threat for heavy rain, severe winds, tornadoes / waterspouts and some hail threat. 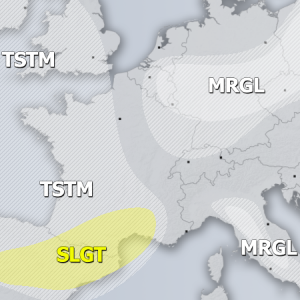 A SLGT risk has been issued for areas surroundings the MDT / SLGT+ areas over S-CNTRL Mediterranean with threat for heavy rain, strong winds and some tornado / waterspout threat. Threat for excessive rain has also been extended across the north Balkans. 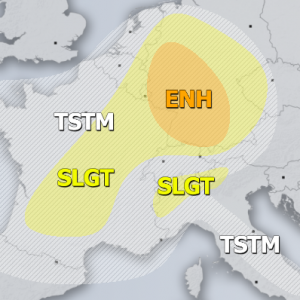 A SLGT risk has been issued for coastal S France into NW Mediterranean towards Corsica and Sardinia with threat for severe non-convective wind gusts.